On Wings of Eagles: Calming The Storms. 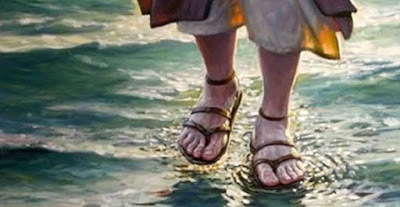 Jesus said to His disciples “Go, now, to the other side of the lake.” Meanwhile Jesus went by himself up a mountainside to pray. As the disciples made their journey across the water a storm filled the skies and the waves rocked their boat. The disciples were afraid. Dear Lord, You have control over the winds and waves. We trust in you to calm the storms in life and we choose to have faith instead of fear. In the Name of Jesus, Amen.